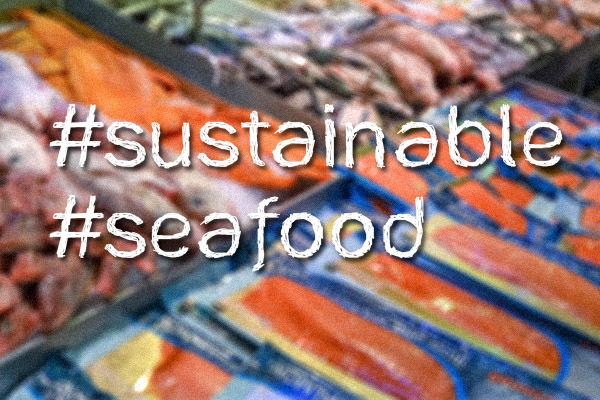 The movement to support sustainable seafood continues strongly. Competitive chef events have just been held in Halifax, Toronto, Calgary and Vancouver for #ChowderChowdown. Proceeds from these fundraisers featuring original chowders matched with craft beers directly support Ocean Wise (www.oceanwise.ca), a Vancouver Aquarium conservation program created to educate and empower consumers about the issues surrounding sustainable seafood. 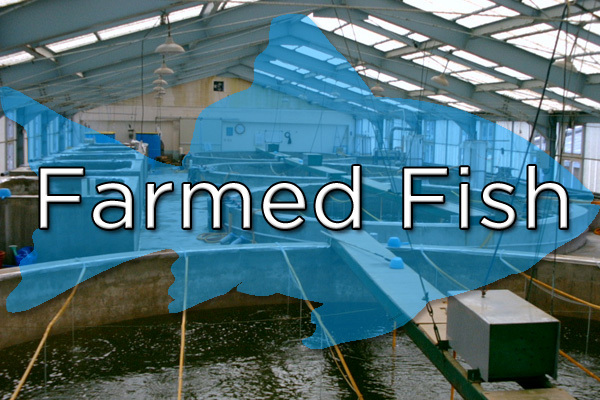 Seafood has to meet four criteria: 1.Well-Managed operations based on the latest research; 2. Abundant & Resilient Species from healthy populations that are resilient to fishing pressures; 3. Limited Habitat Damage – caught or harvested in ways that do not negatively impact natural habitats and ecosystems; 4. Limited By-Catch avoiding the over 30% presently accidentally caught and discarded. Globally we are eating more seafood with average seafood consumption per person annually in 1960 at 9.9 kg and increasing in 2014 to 20 kg. However, be aware that overfishing is a great threat to our oceans and rivers. The popular Vancouver event on November 16 featured 14 finalists each paired with a different craft beer. Your scribe as a judge enjoyed the clever use by the chefs of the ingredients in the chowders. Impressed by expensive sliced fresh geoduck slices with lemon balm, paprika, nutmeg and ginger by Chef Chris Andraza of Fanny Bay Oyster Bar matched to a winter vanilla spiced ale by Big Rock Brewery. Great diversity (not just clams!) among the 14 including a classic Black Gold Mussel Chowder by new Vancouver Aquarium Chef Ned Bell (ex Four Seasons); Giant Octopus; Ham Hock, Pea meal Bacon & Side Striped Prawn with a Honey Smoked Beer at 10.9 alcohol; Salmon & Tamarind; Gluten Free Poutine; Sablefish & Humpback Shrimp; Spicy Chorizo, Corn & Smoked Halibut Bisque; and Sturgeon Coconut Shower. The worthy winner was voted by us to be Chef Aaron Rail of the White Whale in Courtenay BC with big taste from lots of Dungeness Crab to go with clams, bacon, shrimp, smoked salmon and peppers paired with an English Style Bitter Ale. 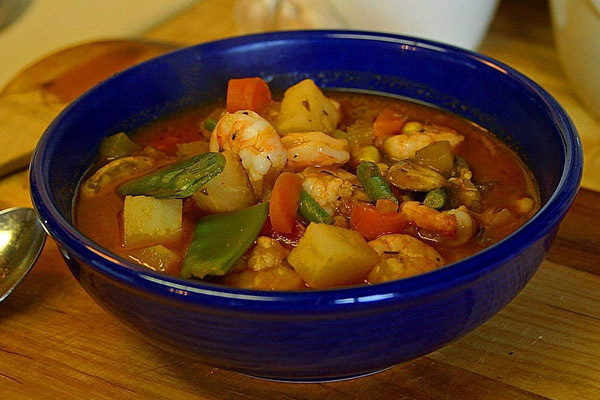 Do you have a killer chowder recipe you would share with us? 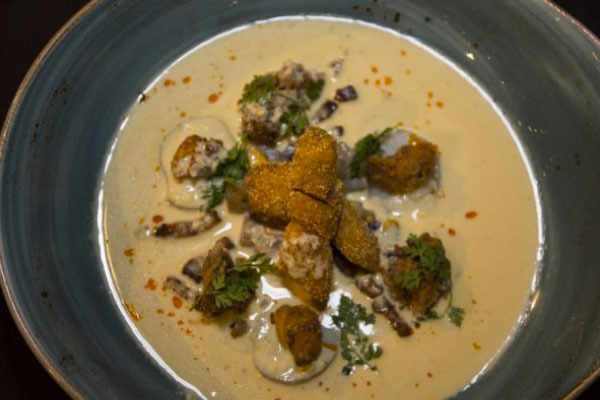 Do you have a killer recipe for chowder? I answered “No, I do not have a killer recipe,”…. but I really love good seafood chowder, and order it whenever I am in a good seafood restaurant. Unfortunately, not always pleased. But the search goes on!